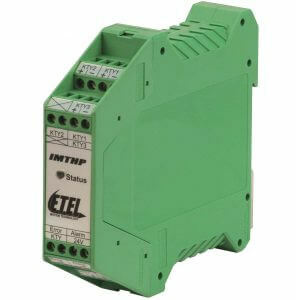 Schaumburg, IL (May 2015) – ETEL presents the IMTHP, a thermal module that serves as an accessory to ETEL’s torque motors, and is designed to provide absolute motor protection from overheating. This allows machine designers and users to select the right size motor at the start. The working principle of the IMTHP revolves around reading KTY thermistors. These are temperature sensors commonly found in torque motors which read as resistors whose value changes as its temperature increases. KTY sensors are very accurate but unfortunately have a delay in their output signal if the temperature change is too quick. This is where the IMTHP comes into play. 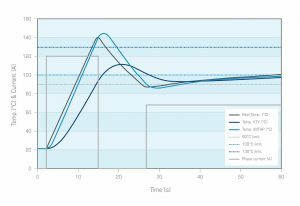 While monitoring readings from three KTY sensors (one on each phase which is standard on all ETEL torque motors), it uses a built-in algorithm which detects any steady increase in the KTY sensor output. 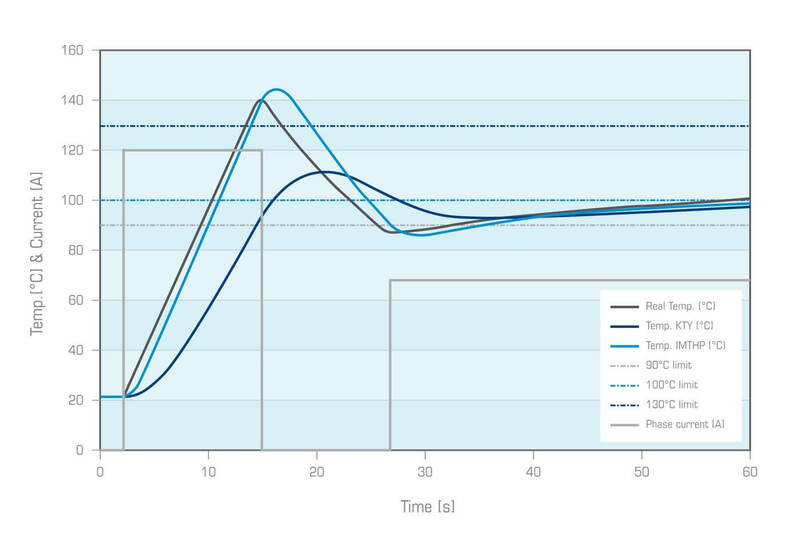 The IMTHP provides a corrected analog temperature signal, allowing the user to have a precise and continuous monitoring of the actual temperature in the motor. 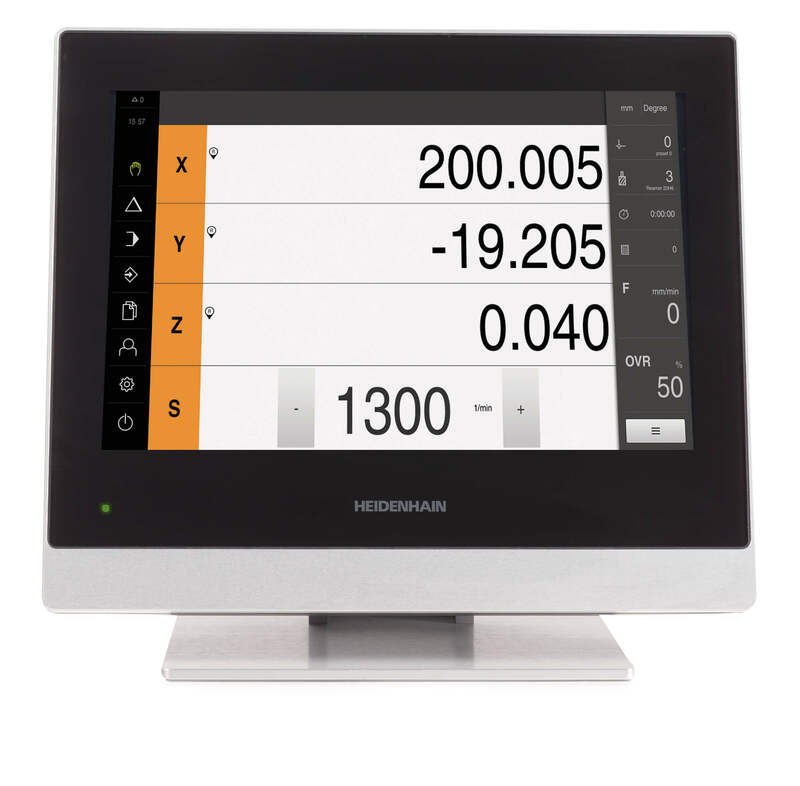 It also outputs a simple digital warning/error signal that can be used without complex data processing on the controllers part, and have the machine properly react if any problem is ever detected. 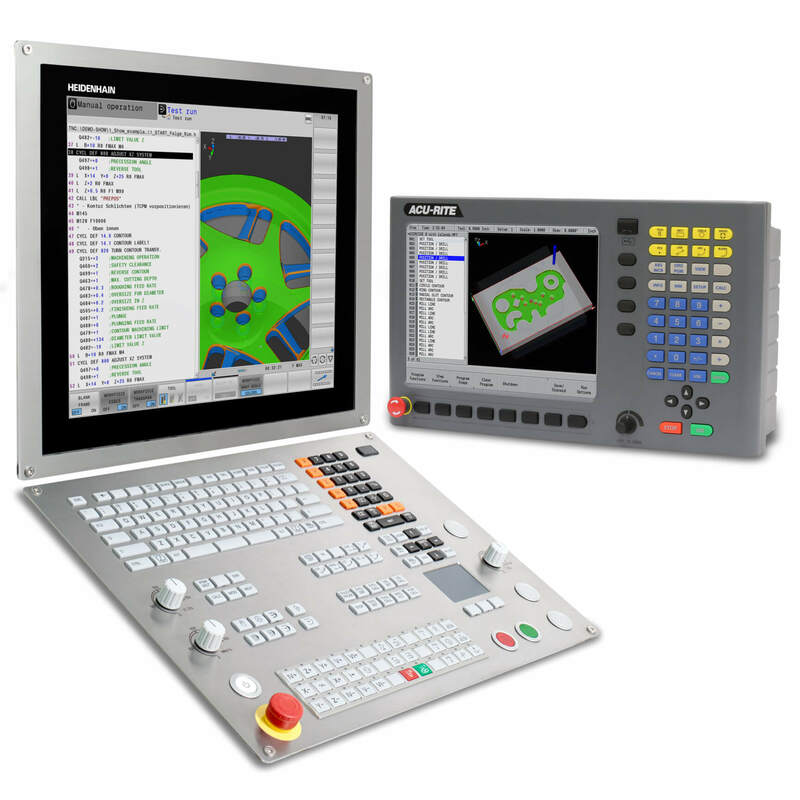 This ensures a reliable safety measure for prototype testing and the ability to handle unexpected loads. The IMTHP is able to take the input of sensors on each of the three phases and output them as one signal so even if the controls operating the motor only have one sensor input, all three phases can still be monitored. This is also invaluable under stall conditions where one phase would have significantly more current than the other two. The IMTHP has the advantage of allowing engineers to not have to oversize a motor for an application, or put a limit on the current input for fear of overheating. That way an optimum motor can be selected, without incurring the cost of having to order an extra-large motor. For more information on ETEL’s products and services, visit www.etelusa.com, or contact Public Relations Manager Kathleen Stoneski at HEIDENHAIN at 847-519-4702 or ETEL Product Specialist Brian Zlotorzycki at 847-755-5569.